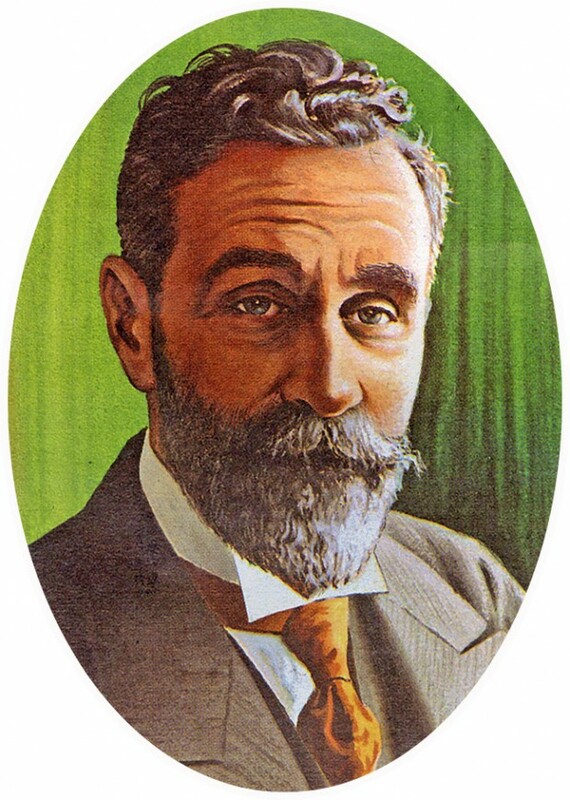 ROGER CASEMENT was born at Doyle’s Cottage, Lawson Terrace, Sandycove, County Dublin, the son of Captain Roger Casement of the 3rd Dragoon Guards of the British Army and Anne Jephson from Mallow, County Cork. His mother had him secretly baptised in her own religion, Roman Catholic, but he was raised in the Protestant faith of his father. As both his parents died young, Roger was taken in by his uncle, John Casement of Magherintemple, near Ballycastle, County Antrim, and educated as a boarder at the diocesan school in Ballymena. After leaving school in 1880, Casement worked in various employments, including clerking, administration, and Civil Service work in Africa. From 1895 onwards he held consular appointments at various locations in Africa, including in the Congo, where the British Foreign Office authorised him to investigate and report on Belgian mismanagement. His report condemned the Belgian administration as ruthless and it exposed systematic infringement of the human rights of the indigenous people. The report earned Casement the Order of St Michael and St George in 1905. He resumed consular service with postings in Brazil. He was then commissioned to undertake a report on the reported abuse of workers in the rubber industry in the Putumayo basin in Peru. The report was published as a Parliamentary Paper (1911) and had considerable impact, gaining Casement international recognition as a humanitarian, his contribution being acknowledged with a knighthood. Meanwhile, Casement had been a member of the Gaelic League for some years and participated in its cultural activities whenever he was in Ireland. He was learning Irish and had an active interest in Irish literature, history and tradition. It would also appear that by the time he left the consular service around 1911 he had become disillusioned with the British Empire and what he had come to regard as its unjust dominion over Ireland. Moreover, he became increasingly radicalised by the opposition of the Ulster unionists to Home Rule from 1912 onwards. On the foundation of the Irish Volunteers in November 1913, he became a member of the Provisional Committee. When the First World War broke out, in August 1914, he was in the United States raising funds for the Irish Volunteers. In the new political scenario, he identified Germany as a potential Irish ally and he was determined to seek German assistance. Casement was regarded with scepticism by many Irish nationalists who either suspected his integrity or considered him volatile and dangerous. Nevertheless, Clan na Gael leader John Devoy, who hosted his American tour, put him in contact with the German Ambassador who arranged for him to visit Berlin. Casement had three demands: arms, German officers to lead an insurrection in Ireland, and the formation of an Irish brigade consisting of Irish soldiers in the British Army then held as prisoners of war in Germany. The Germans promised only a relatively small quantity of arms, and few of the prisoners of war were willing to join the Irish brigade. On learning that an insurrection was planned for Easter, Casement was determined to stop it as he believed it was doomed to failure without substantial arms and German support. 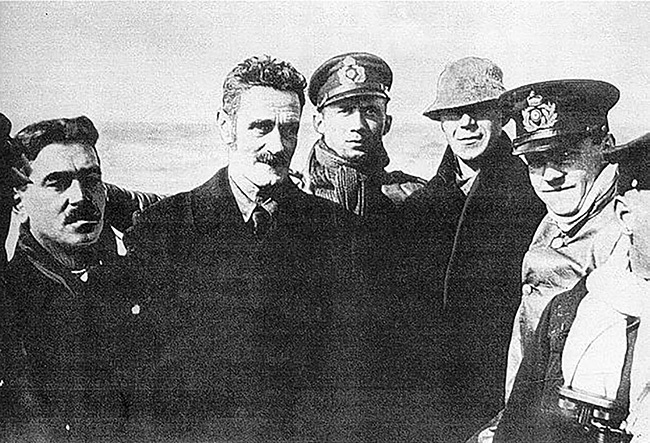 Casement was arrested at Banna Strand in County Kerry on Good Friday 1916, having been put ashore by a German submarine. Meanwhile, the ship transporting the German rifles, the Aud, was intercepted by the British Royal Navy off the south coast and scuttled by her captain. Casement was taken to the Tower of London and tried for “high treason” at the Old Bailey. In the meantime, British officials privately circulated diaries, seemingly in his hand, which detailed homosexual activity, the intention presumably being to discredit him and so ensure that he did not achieve the status of a martyr for the Irish cause. He was found guilty of treason. Before his execution he was received into the Roman Catholic Church. 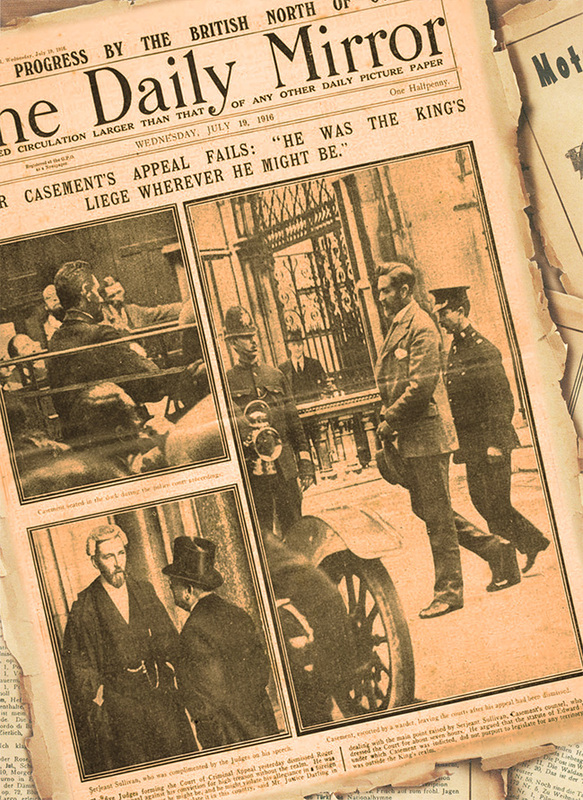 Roger Casement was hanged at Pentonville Prison on 3 August 1916.